Peeling back the red petals reveals there is much more to the poppy paintings of Dominic Pangborn than meets the eye. One of the mainstays of Pangborn’s evolutionary art is the poppy flower. Pangborn says there is something magical about poppies, as collectors seem drawn to his flower paintings regardless of where they’re displayed. “The poppy is probably one of my biggest signature series,” he says. 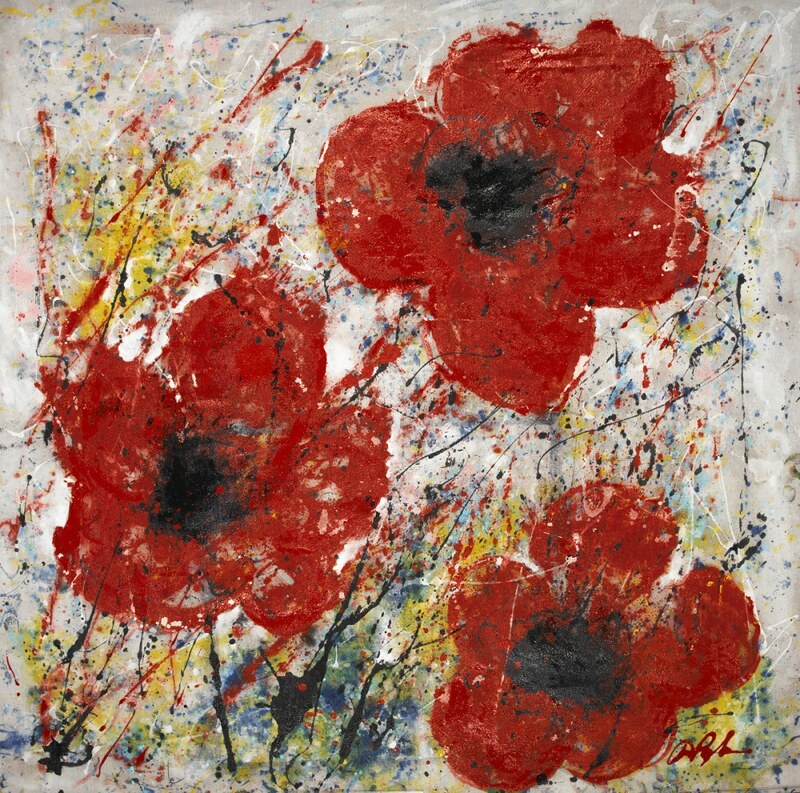 The inspiration for Pangborn’s poppy paintings originates with his grandfather. Pangborn was adopted from Korea at age 10 by a family in Jackson, Michigan. The family already had 11 children, which was surprising to someone who grew up in a small village. “When I arrived just imagine – I was greeted by 11 children, I thought they invited all the kids in the neighborhood to welcome me, and a week later they were still there,” Pangborn says with a chuckle. He says he realized his new family needed some help with so many children to care for, so he thought of ways to earn some money. His grandfather helped by recruiting Pangborn to mow lawns and plant flowers. It was then that Pangborn was introduced to the poppy, which was one of his grandfather’s favorite flowers to plant. “In Michigan it’s not that common to see poppies, it’s a little more challenging,” he says. Upon pursuing art as his career and passion, Pangborn decided to paint the flower as a tribute to his grandfather. 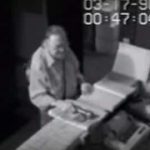 He says he believes these feelings of remembrance are felt by viewers. “I truly put the inclusion of feelings and emotion into my art because it’s not just me rendering the same picture over and over,” he says. Pangborn prefers to use odd numbers in his artwork. Observant viewers will notice some of his poppies have an odd number of petals despite poppies typically having four to six petals. 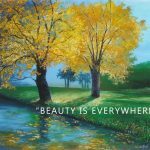 As he explains in this post about his flower paintings, asymmetry symbolizes eastern, organic themes, making it a natural choice for painting flowers. Pangborn also likes to utilize negative space when painting poppies. His bright poppies are typically set against silver or dark brown hues, but recently Pangborn has experimented with softer colors that make his poppies pop even more. 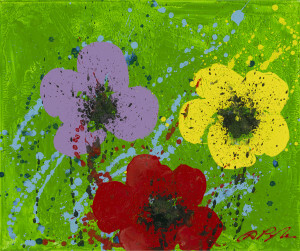 His new choice of colors combined with a more abstract style invites viewers to see what they want to see. 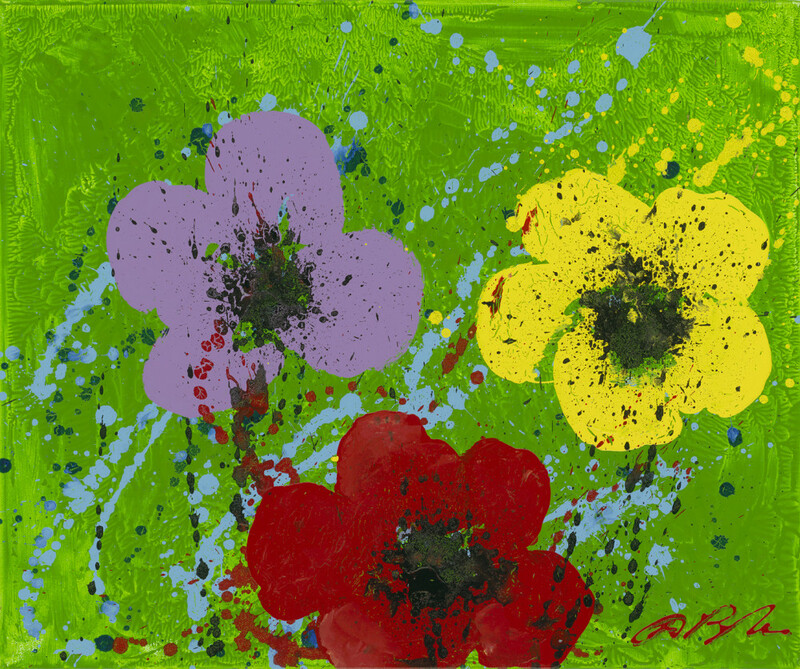 Discover what you’ll see in Pangborn’s poppies with Park West Gallery’s Dominic Pangborn art collection. Dominic Pangborn might become my new favorite artist. He is so cool and the way he talks and doesn’t care about rules is fantastic.Perfect!